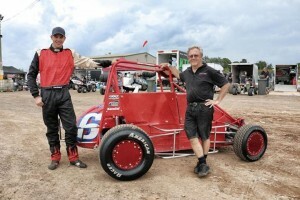 Carline 50 Lap Classic at Valvoline | Talking Speedway, Speedway news from around the world! Saturday night May 16th Granville and Valvoline Raceway is set to re-run the washed out Carline Automotives & Exhaust 50 Lap Classic for speedcars. The interest in the re-run event is very high and has attracted a entry list of 40 teams .Fans will remember the washed out event for the horrific accident that forced US POWRi National Champ Zach Daum to return home injured .Later in the night mother nature played her unbeatable hand with a massive down pour to end the night . Michael Pickens the kiwi Champion return to challenge the local again in the Brett Morris owned Esslingler .Last time out Pickens had a terrible run early forcing the Kiwi to race out of the B main to gain his transfer to A main . 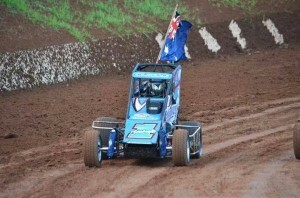 Pickens will be charged up for a fourth Sydney 50 Lap win after his last start Sprintcar win at Waikaraka Park Speedway the final New Zealand race for season 2015. Entries from Queensland , NSW, Victoria, South Australia and Western Australia underlines the importance of the Carling Automotive & Exhaust 50 Lap event. 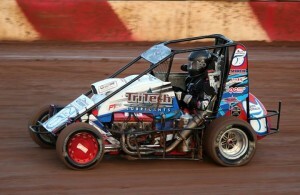 The rivalry between National Champion Clarke and Speedcar Super Series Champ Smee will continue . Last time the pair faced off Clarke had just that little extra when he pounced to take the Queensland , American Racing & Tire Service 50 Lap event last weekend at Archerfield .While all the headlines might be all about Clarke and Smee there are 38 other chance for the Classic trophy and the cash bundle. Nathan Smee will be driving the Q9 instead of his normal ARTS N7 .Smee will be heading State Side after the Sydney event to race for third time in four years in the Indiana “Midget Week” schedule, the POWRi Series in Illinois and a USAC double-header weekend in Indiana.Smee will join Kiwis Mosen,Williams and Maskovich on the quest for USAC and POWRi glory . 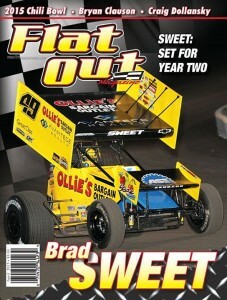 .Looking for a good read and to stay up to date with all the Open Wheel information then Flat Out is the Magazine for you .order now from our Flat Out Page.